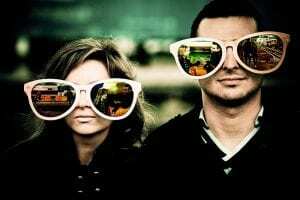 Finding your true love is one of life’s greatest joys and the story of how you popped the question will be told for decades—so it’s got to be good. If you drop the ball in this department, you’ll be hearing about it for decades. Trust us. 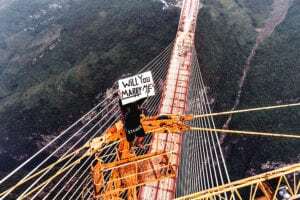 Leave the expected proposal spots for dudes who are inspired by a mug and coaster set at a South Congress tourist shop—yeah, we’re talking about the “i love you so much” wall—or got down on one knee at Mount Bonnell after a single Google search. Be creative! 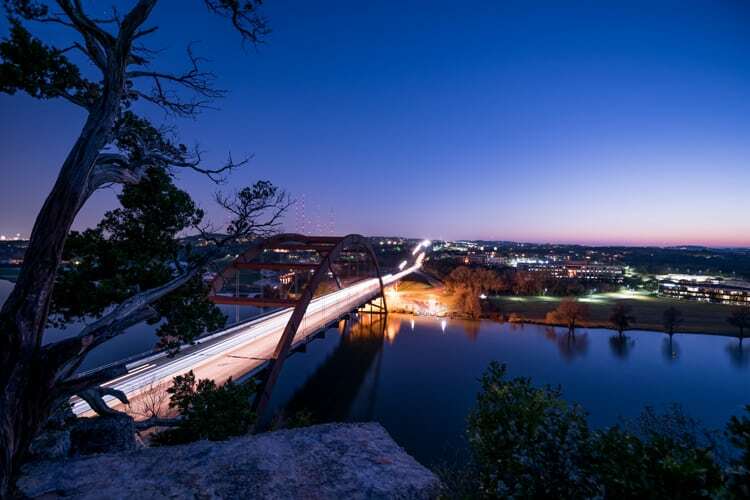 Whether you’re an Austinite or just visiting, we’ve got your proposal on lock with this curated guide. 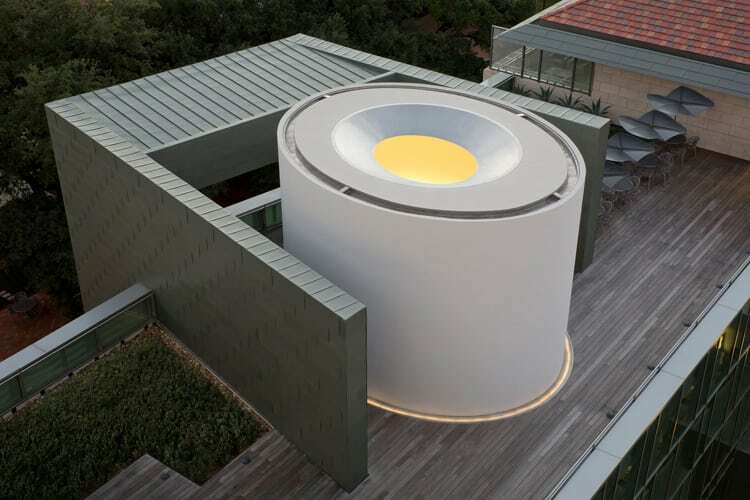 Artist James Turrel’s The Color Inside, a Skyspace is a dome and oculus that is open to the elements; the experience transforms throughout the day as the sky and shadows interact with the curved walls which are illuminated by a kaleidoscope of slowly transitioning hues. It is simultaneously meditative, trippy, and beautiful. While it is open during the day, the viewing is ideal at Sunset. You’ll find The Color Inside on the University of Texas campus, on the 3rd-floor rooftop garden of the Student Activity Center. Make a free reservation, check the hours, and read the hefty list of rules; it’s a doozy, but necessary to maintain the quietude of the experience. If the love bug bites you during the holiday season, look no further than the Zilker Park Trail of Lights. For three weeks in December, Zilker Park comes alive with people and lights—an impressive two million to be precise. 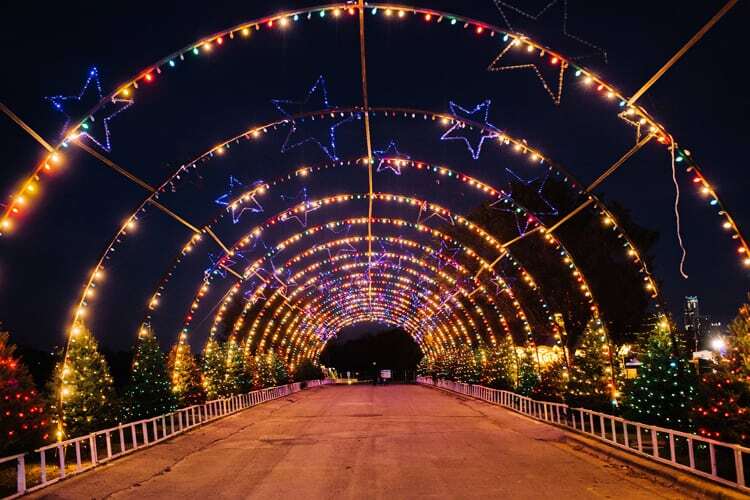 Enter the Trail of Lights through the giant illuminated tunnel; you’ll find kid-friendly themed displays, food trucks and live music, a glowing Ferris wheel and the pièce de résistance, a 155-foot tall Christmas tree. Shaped like a spiral-cut cone, you can go inside of the tree to spin while staring up until you’re dizzy. And, while this event houses multiple Instagrammable spots which inspire wonder, the tree and Ferris wheel serve as especially dreamy, sparkling backdrops for your big moment. There are a handful of trendy hotel rooftops in Austin, but let’s be honest, the food and drinks aren’t great, and the views can leave much to desire. 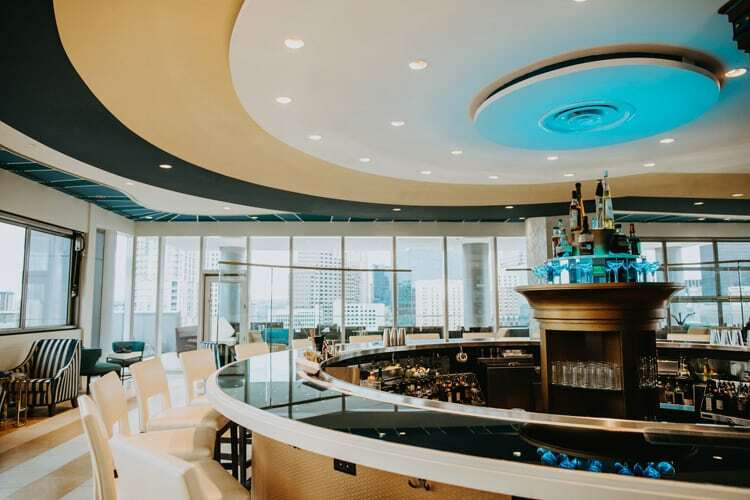 Rules & Regs, located on the 7th floor of the Fairmont Hotel in Downtown Austin, not only overlooks Austin’s cityscape, serves fancy cocktails, and eclectic bar bites, BUT the hotel is so new that we doubt any proposals have taken place on the balcony yet—try to be the first! And, if you want to take it up a notch, rent a private cabana at the hotel’s sky pool, located adjacent to Rules & Regs. After a “yes,” celebrate with Pappy Van Winkle and a Mexican Chocolate Meringue from the lauded culinary team. When it comes to romantic restaurants in Austin, there’s nothing quite like Mattie’s at Green Pastures. The 19th-century Victorian dwelling, formerly home to a prominent socialite, opened as the original Green Pastures restaurant in 1946. In 2016, the restaurant closed and later returned, rejuvenated, as Mattie’s; her original bones intact with a new modern vibe and Southern-inspired menu and craft cocktails. What didn’t change, however, are the ancient oak trees and peacocks who still roam the grounds. (Spring is the best time of year to see the birds.) Whether you choose to ask in one of the stylish parlors or under the sparkling lights of the patio, Mattie’s is a home run proposal site. To amp up the romance, Mattie’s even offers their private balcony with a private table for two that overlooks the grounds, just ask! The Colorado River that snakes through Austin and its network of tributaries, lakes, and creeks mean we have a lot of amazing watering holes. And although Twin Falls and Lake Travis are incredibly beautiful, there’s one just outside of town that blows the rest out of the water, no pun intended. 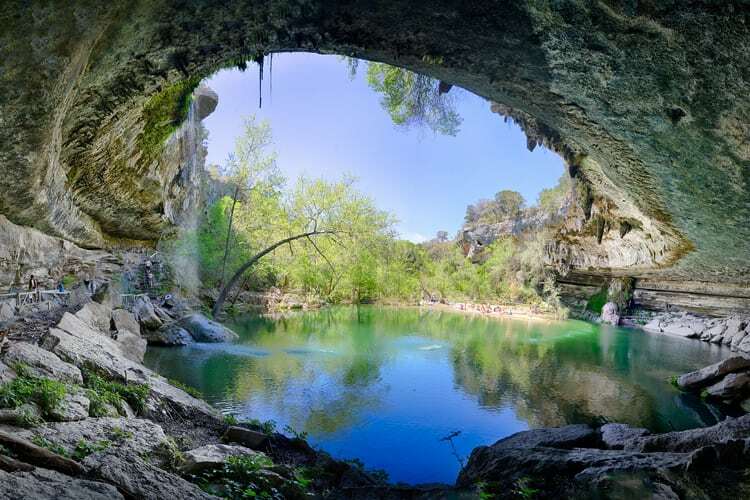 Formed from the collapsed dome of an underground river, Hamilton Pool is a limestone cavern with a 50-foot waterfall that spills over into the ultramarine-colored water. Regarding proposals, this locale is the stuff dreams are made of. A day trip does require planning: you’ll need to make a reservation, hit up the ATM for the cash-only entrance fee (no cards accepted), leave Fido at home, and grab some good shoes as the pool is a short and for the mildly-rugged hike from the parking area. 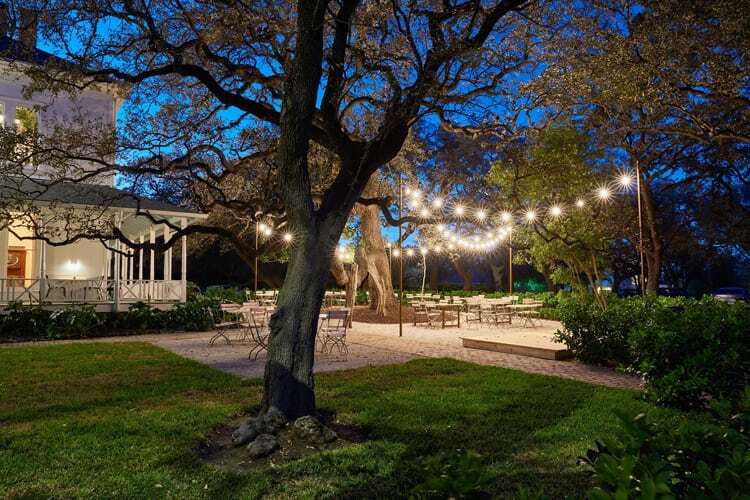 The Contemporary Austin at Laguna Gloria is a breathtaking 14-acre property nestled along Lake Austin. The grounds are made up of a historic Italian villa, a mix of wild and manicured flora, peaceful trails, and the ideal spot for proposing to your art lover: the Betty and Edward Marcus Sculpture Garden. As you wander through the garden, you’ll interact with both exhibitions and permanent works like a life-size bronze car, a 30-foot steel figure which appears to made of foil, and our favorite, a giant kawaii-style bunny fountain who “cries” endlessly. 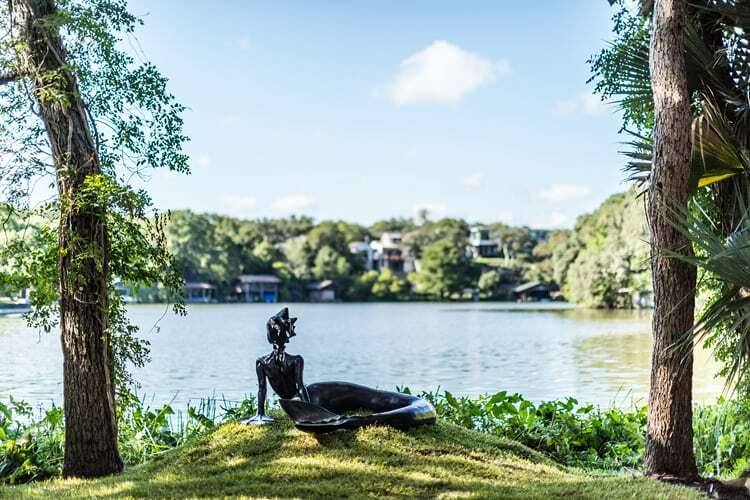 A proposal with any of these works set against a Lake Austin backdrop sounds downright dreamy, and we think your creative cutie will agree. Every March, Zilker Park transforms into a scene so idyllic and awe-inspiring, it could melt even the steeliest of hearts. Founded in 1929, the ABC Kite Fest draws enormous crowds of adults, children, dogs, and kites…hundreds, possibly thousands of kites. The sky comes alive with swirling dragons, soaring phoenixes, perplexing box kites, and because we don’t live in a Nicholas Sparks novel, a hell of a lot of tangled lines. 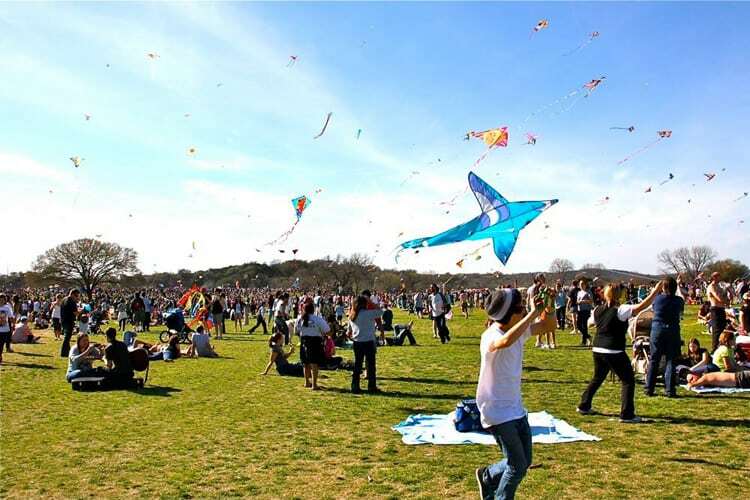 But, there is no denying the joy of the Kite Fest, making it a highly ‘grammable place to ask…don’t be surprised if you are watched by sentimental strangers, still clutching tangled string. 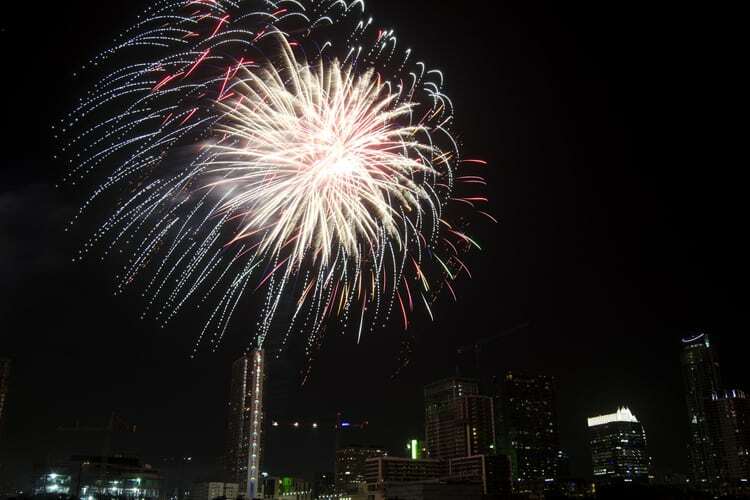 Every July 4th, the HEB Austin Symphony July 4th Concert & Fireworks event put on such an epic show that upwards of 100,000 people will file into Vic Mathias Shores (formerly Auditorium Shores) for the largest Independence Day celebration in Texas. The Austin Symphony plays patriotic works from well-known composers while the synchronized pyrotechnics display explodes over and reflects off of Lady Bird Lake. Pack a blanket, a cooler, and call a rideshare–the parking is a nightmare–and be sure to arrive early to claim your grassy real estate. Enjoy the fireworks and be sure to make some of your own. Pro tips: Admission is free! Keep any snacks or non-bottled water beverages you bring on the DL as concessions are sold on-site.